On 1 April 2013 the UK government introduced the Patent Box Tax regime which aims to provide tax breaks for companies which commercialise patents or develop new innovative patented products, processes or services. The regime works by assigning a lower rate of tax to worldwide profits earned by UK companies which are attributable to patents granted in the UK or Europe. The relief is being phased in over 5 years so that by 2017/18 the effective rate of tax on patent box profits will be just 10 percent. Changes have been proposed to the Patent Box regime in order to comply with a new international framework for Intellectual Property taxation which has been developed by the OECD. This is intended to harmonise the various preferential tax regimes that operate within the G20 member countries. A key principle underlying this project is that taxing rights over profits should be aligned with the economic activity that generates them. The government opened a Patent Box Tax Relief consultation with regards to these proposed changes on 22 October 2015. 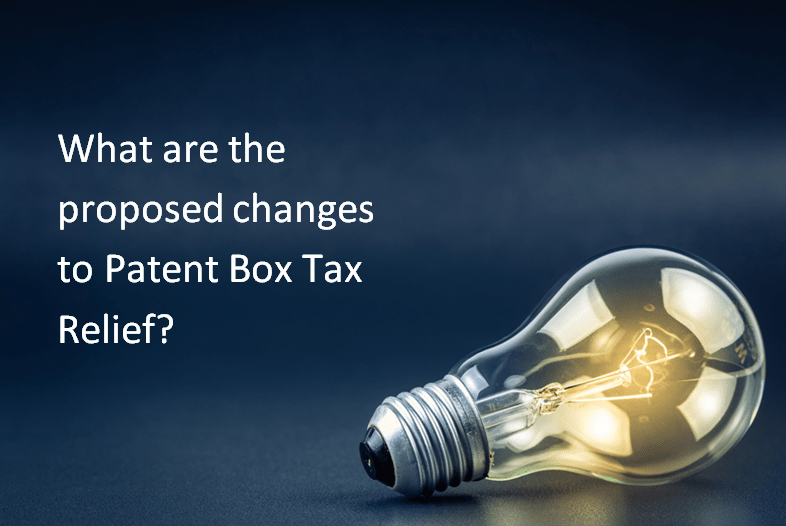 The basis of the proposed changes is that eligibility to claim Patent Box Tax Relief should be based on whether the R&D that led to the development of the IP has been carried out in the UK or not. This principle is to be implemented through a ratio, called the “nexus fraction”, which is the proportion of the profit that can be included in the patent box. Broadly, this fraction will be based on the level of R&D carried out by the company in the UK. Another area covered by the consultation is whether the calculation of IP profits subject to the patent box regime should be calculated using a proportionate split or whether IP profits related to each patent should streamed in every case. A proportionate split is currently the default approach but it is possible to elect to use a streaming calculation. Streaming can be beneficial but can add further complexities in terms of accounting. If streaming becomes compulsory companies will need to make sure they have adequate systems in place in order to calculate profits arising from each patent. If companies are concerned about these proposals and what the outcome of the Patent Box Tax Relief consultation will mean for them they should make their representations to HMRC by 4 December 2015. If your company is involved in developing innovative products or processes you may be able to benefit from the Patent Box and/or Research and Development Tax Relief.